A cushion that sits within the bathtub to make lying down more comfortable. 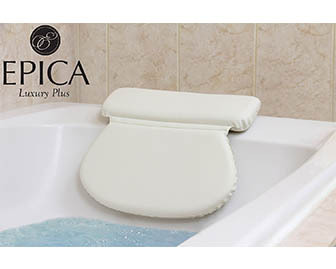 This provides the user with a headrest and decreases pain associated with sitting on a hard acrylic or iron tub. Great for seniors that love bathing and soaking in a tub.